Harmonics-Group Nuremberg 2012 | Harmonik Zentrum Deutschland e.V. First, the state of preparations for the Harmonics Symposium 2012 was discussed, this time in the College of Music in Nürnberg. Then Hans G. Weidinger reported on a visit by our member Hartmut Warm on December 19 last year in Nuremberg. The focus of the meeting was on the topic “Notes and neurons – the key to the musical feeling”. This is the title of 11 Youtube clips downloaded from the Internet. They cover topics such as “Listening to the Body”, “The Brain, Anatomy, Neurology, Similarities and Differences in the Music of Different Cultures” Then a research project on the perception of music in primitive tribes in Cameroon. And finally the topic “Music in humans and animals”. This was more than enough for the afternoon. 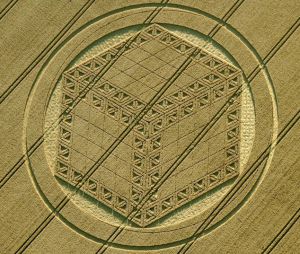 Willibald Limbrunner presented his harmonic analysis of a crop circle discovered on August 26, 2012 at Hackpenn Hill near Broad Hinton, Wiltshire. It has been shown that the geometric relationships of the squaring of the circle and other interesting harmonic relationships (eg. numbers of the Platonic year) can be taken from the structures of this crop circle. 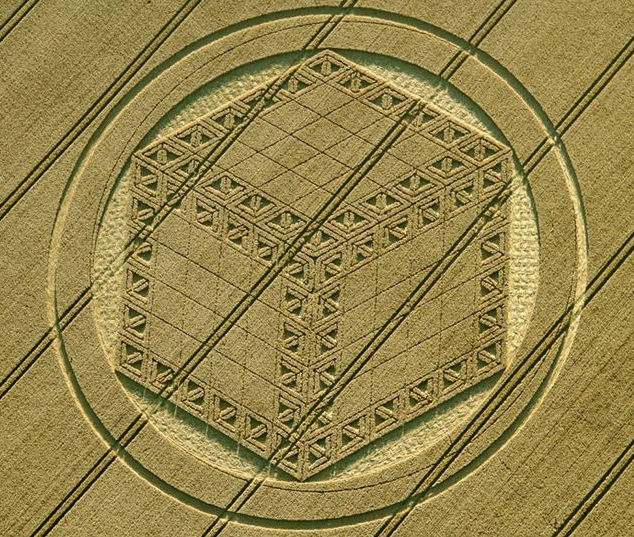 It deliberately omitted the question of how this crop circle was created. 2012 Willibald Limbrunner went into more detail on the question of how the crop circles could have arisen, based on the information provided. In addition, he showed very impressively how Plato’s slightly dark-sounding versions in “Timaios” about the genesis of the world can be interpreted harmonically.